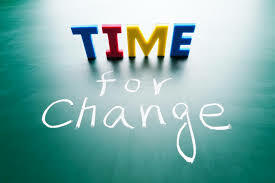 Change is inevitable and so also suggests the following quote – “The only thing constant in life is change”. Everything around us is dynamic these days and change consistently be it how we live, how we connect, how we work (and even where we work and what type of work we do). But herein lies the paradox also which is that inspite of knowing that change is bound to happen, we hesitate to accept it and embrace it. The 2 kinds of people that never embrace Change are – 1. "I Won't" types who never feel they have a problem and so don't change and 2. "I Can't" types who don't believe that Change is possible. · The fear of the unknown – at times we do not know what change will entail and we fear being pushed out of our comfort zone. · Avoid going first – Though at times we may want to change but just do not want to be the first one to embrace it and therefore avoid it. · Overconfidence – Since we have been successful many times in the past, this gives us a false sense of hope (overconfidence) that we do not need to change as we would keep succeeding. · Rejecting the need to change – At times when we lack ambition or goals in life we do not seek anything new, different or additional and avoid embracing change. We do not have much control over people, situations, circumstances and things that are underdoing change, so the only way to deal with change is to change “ourself”. So “Self-Change” is the mantra ! We should always remember that “Change is Growth” and embracing Change is the only way forward in life ! 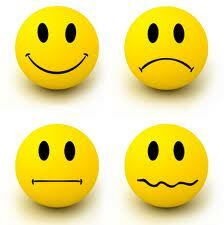 · To manage emotions well, recognise when they (emotions)occur and try to identify the triggers for them. · Dealing with Negative Emotions - One negative emotion sets in motion a multitude of similar ones and gives rise to a whole bunch of negative emotions that then to take control of our mind and body. This badly impacts the various spheres of our lives including family, friends, relationships, health, etc. To save us from the emotional disturbance that leave us mentally and physically crippled (inactive), we need to rein-in the horses of negative emotions by not feeding them with more or allowing them to grow in magnitude so that they do not set in a chain reaction which will be harmful for us. The mantra for diminishing Negative Emotions is “Make it as small as possible”. · Dealing with Positive Emotions grow slow when we get affected by negative emotions so once positive emotions set in, we should reinforce them regularly with more supplementary and complementary positive elements. To avoid negative emotions take control over us, the positive emotions need to be sustained with daily doses of positivity (thoughts and actions) whether big or small. 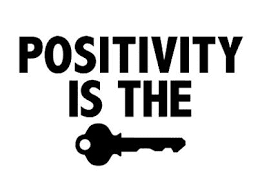 The best way to break the shackles of negative emotions is through a lockpin of strong positive mind-body combination. The mantra for Positive Emotions is “Make it as big as possible” because accentuating the positive help build strong defense mechanism against negative emotions. · Try connecting or communicating with other at an emotional level for better results. Discover Your Purpose in Life ! All of us wish to have a satisfying and fulfilling life but still many of us struggle to achieve it inspite of our best efforts and immense talent. 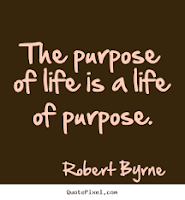 One of the key reason for not being able to achieve success and happiness is due to lack of “purpose” in life. Our actions in life do not mean much if they are not in the right direction and this direction is what purpose is all about. The importance of Purpose could be gauged from the fact that we may be moving in life but still getting nowhere if “Purpose” is missing. As in case of a travel (bus, train, plane, etc.) you need to be clear about the “destination” where you want to reach and then take the transport going in the right direction so is the case with purpose in life. We need Purpose in life so that our energy, effort and talent could be put to good use towards achieving something constructive and towards contributing productively in life. Purpose gives direction to our potential and a goal makes sense only when there is a purpose attached with it. 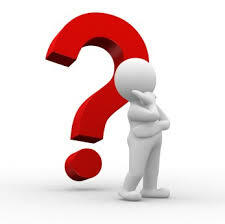 · It is worthwhile to ask yourself the following question – “Why am I living ?”. The answer to this would be your “purpose” in life. 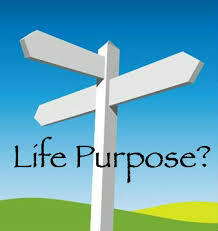 · Identifying your “passion” in life is another way to find out about your purpose”. Getting to know about your passion brings forth the things you enjoy doing/ love and feel satisfied with. · Asking yourself as to how you would like to be remembered once you are gone from this earth would help you identify your purpose. What would you want people to say/ talk about you is an indication of your purpose in life. 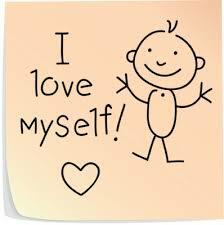 Self Esteem - Creating Value for Yourself ! Feeling good about life begins with feeling good about ourselves first. What others think of us doesn’t matter as much as what we think of ourselves. Our opinion, perception and feeling about ourselves is known as Self-Esteem and it goes a long way in determining our success and failure in life. A person with high self-esteem would always be happy, successful and productive in compared with a person having low self-esteem who would always be doubtful, pessimistic, demotivated and lethargic. So, its very important to perceive ourselves as worthwhile and valuable as self-esteem greatly impacts our productivity, performance, relationships and achievements in personal and professional life. Positive and high self esteem results in improved self- confidence, self-worth and self-respect whereas low self-esteem results in negative emotions/ feelings like criticism, jealousy, comparison with others and egoism. There are many advantages of possessing high self-esteem – A person with high self-esteem is always positive, pessimistic, motivated, balanced and carries an attitude to see opportunity to do the best in every challenge and obstacle in life. So, develop your self-worth from within and success and accomplishments would follow soon ! Life is like a rudderless boat in the absence of proper goals in our life. Growth and Achievement is the backbone of our success in life and this is made possible by the presence of well established goals. 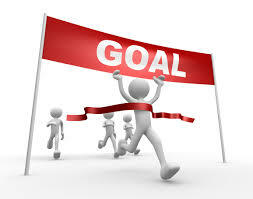 Goals not only give a meaning to our life but also provides it direction and purpose. A life without goals leads nowhere and we end up achieving nothing in life. Achievement of goals is the essence of a successful life and the very first step towards that is the identification of appropriate goals – those goals that depict our passion, align with our life’s purpose and bring balance to our lives. How badly we want it ? What do we want ? - Answering this question leads us to the discovery of our “passion” in life, the thing we yearn to do and achieve. This further leads to the identification and establishment of appropriate goals for our life. 2. Reiterates the realistic need to establish goals. · Prioritizing goals in our life by revisiting different spheres of – work, home, relationship, finance, health, etc. ). · Besides helping us identify goals that requires our most attention, answering this question also helps us build focus to bring in the desired balance in life. 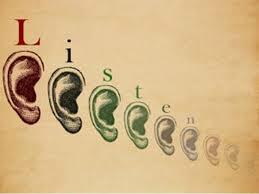 Listening as an Effective Communication Tool ! Effective Communication is at the core of any successful relationship in our life, be it at home or workplace. But do we actually realize/ reflect whether the way we are communicating is making any real impact. Most of us think “Talking” is the most effective way to communicate but surprisingly it is the least effective. The most effective is “Listening” which is the most underrated also. Nothing can explain it better than the fact that we can speak only an average of 150 words/ min whereas we can process an average of 1000 words/ minute. Inspite of this we do little to develop our listening skills. Listening is not only powerful, healing, affirmative and calming but also conveys to the person that they are important and saying something worth deserving our time and attention. Listening goes a long way in reducing conflicts and developing better relationships. Most of us also confuse “Hearing” with “Listening” which is not true. Hearing is not Listening. Hearing is a physiological process whereas Listening is the process of understanding the content ( message), context and the underlying feelings. · Maintain an attentive and positive posture (leaning forward, open arms) to encourage the other person to speak. · Practice being more aware about your own feelings so that you can identify the feelings of others while they speak. Life is a journey of growth and discovery and presents us with myriad challenges. There are 2 options with us to confront theses challenges – either we can be forthcoming and open to them and see them as opportunities to get on to the upward spiral in life or we can close ourselves, live in doubt and fear and be on the downward spiral. Positivity is that optimistic outlook and disposition that we carry towards life and it is much more than just the mere absence of negativity. It extends much beyond the mere sense of happiness and comprises of a range of positive emotions like joy, gratitude, appreciation, inspiration, hope and love. The yin-yang nature ensures the Positivity and Negativity co-exist in our lives. Negativity can never be eliminated completely in our lives as negative emotions like anger, sadness, etc. are an integral part of our lives. The best we can do is to decrease negativity to the best extent possible. On the other hand, Positivity is transient in nature and should not be held too firmly. We should give ourselves daily doses of positivity. Do you derive a general conclusion based on a single incident or evidence ? For example, if you don’t do something very well the first time do you start thinking that you won’t be able to do it well again ? Do you jump to (negative) conclusions with no real evidence ? For example, you may think that nobody likes you in your class or group. Do you expect terrible things to happen to you whenever you face problem of even small magnitude ? If you have answered “yes” to any of the above it means thinking is acting as a barrier in developing a good personality in you. The barriers are not letting you gain clarity in life, restricting you from moving forward in life and stopping you from achieving success. Thoughts are extremely powerful and an average person thinks about 70,000 thoughts in a day. Thoughts determine just about everything in our personality - self, others and situations. Replace the negative words like ‘should’, ‘must’ and ‘ought’ with positive words like ‘could’, ‘will’ and ‘want to’ respectively. So, nurture “healthy thinking” so that it provides you ample of opportunities in life to succeed and excel ! "ABCD" Formula for Success ! 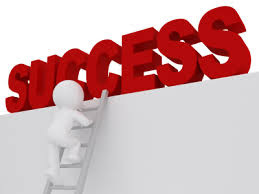 Each one of us wish to be successful in life and to most of us success merely means “not failing”. But there’s lot to success that the absence of failure – it is about achieving our goals in life. Life is always full of ups and downs and we are bound to fail many a times, so a person who treats failure as a stepping stone to success and learn from every failure to improve in life is bound to be always successful in life. The great Abraham Lincoln is a great example of the above. Also success is not about competing with others but by being our own benchmark as that’s the only way to achieve all that we are capable of. · “A” for Attitude and Action which enable us to perceive every situation as an opportunity to find solution and take steps to make it happen. · “D” for Desire, Direction and Discipline which help us be always motivated towards our goals that are worth achieving and in an incrementally progressive way. The journey to success is always full of challenges but if you apply the “ABCD Formula” in your life, you will easily overcome barriers like unfounded fears, multiple failures, discouragement, losing focus, losing faith in oneself and big goals. So, make Success a matter of choice and be an achiever always ! 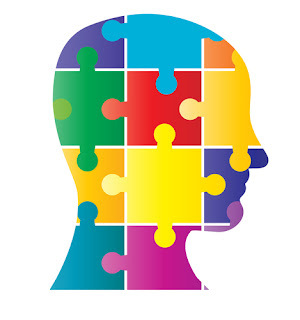 Personality is defined as a pattern of thoughts, feelings and behavior that a person exhibits. What we think, what we do, how we behave are all components of our personality and their quality determines our success in life. Why is Personality so important ? 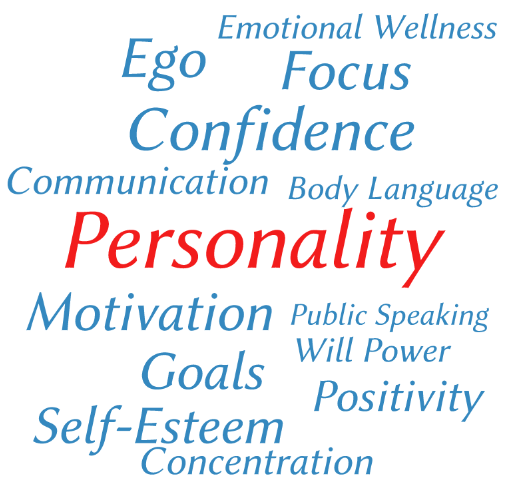 What are the components of a “good personality” ? How to develop a “good personality” ? Since the 3 dimensions – Physical, Mental and Emotional are interrelated, therefore its essential that we maintain the right balance among these three dimensions to be able to develop a “good personality”. This balance could be achieved by understanding the connection among the three, becoming more aware about the about their impact on us and taking integrated approach to developing our personality. An example to state is that a person suffering from stage fright during can only get rid of it by simultaneously working on improving the thought, feelings and action (though changing one would automatically lead to the change in the other two).